Here are more details about the Speaking section of a ScoreNexus TOEFL Score Report. If you want to know about a Score Report in general, please click here. 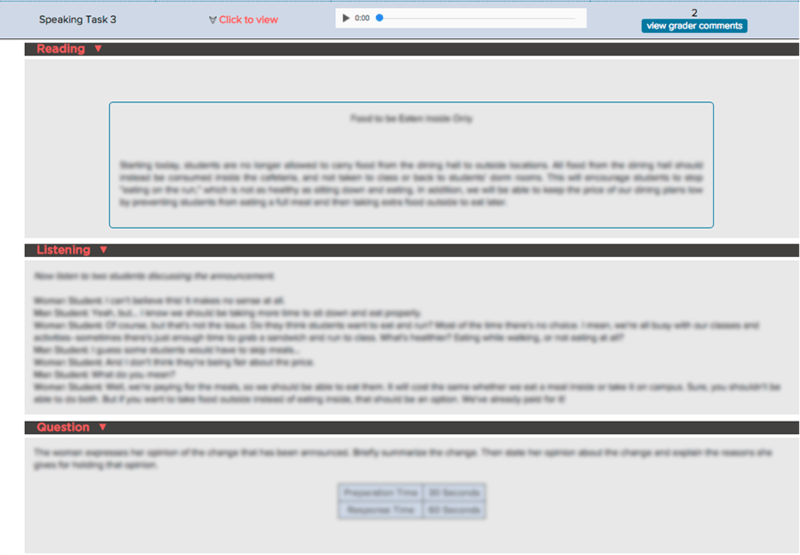 Grades are given to each Speaking task, from 0 to 4. These grades are given by our ScoreNexus professional graders (or by your teacher or school). The grades are added together, and then they are converted to a total Speaking score. In the example above, the student received a score of 17 (out of a maximum of 30). Each of the six Speaking tasks have different combinations of question materials. The top section is information about your test and Speaking task. 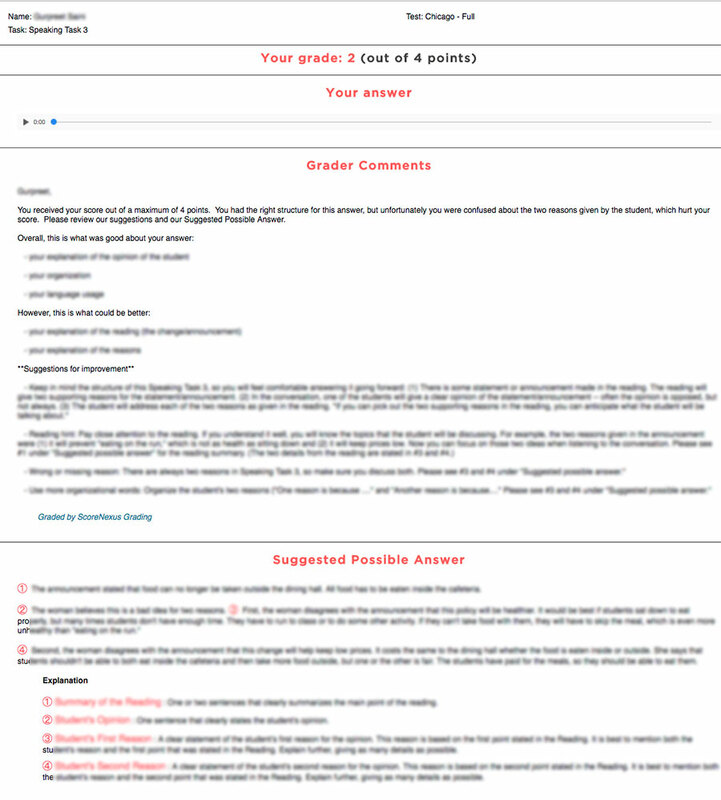 The next section (“Your Grade”) tells you your grade (out of 4 points). The next section (“Your Answer”) lets you listen to your answer. You can also download it. The next section (“Grader Comments”) shows your Customized Grader Suggestions. Your grader will give you specific suggestions about how to improve your grade. The last section shows our Suggested Possible Answer for this Speaking task. It shows you step-by-step what you need for a good answer. All of this information will help you quickly improve your Speaking score! What does “Professional Grading” by ScoreNexus mean? When does my Free Test Expire? Can you send more than one TOEFL score to a university?